Willie Shaw’s sultry new single “See Through You” mesmerizes upon first listen. With smooth vocals and a striking falsetto that recalls Justin Timberlake, Shaw is making a name for himself in the Nashville pop scene and it’s easy to see why. “See Through You” details a man who runs into an ex at a bar who he no longer recognizes. Donning a low-cut, skintight dress and heels, he finds himself wondering where the girl he fell in love with went. “You say you’re livin’ / But I see through you / I see you’re different than the girl I used to know,” he croons on the first verse. “See Through You” was produced by Kelly Fitzgerald and the song’s slick beats and laid-back vibe bring to mind acts like Timberlake, Bruno Mars and Andy Grammer, all of whom Shaw credits as influences. Listen below to hear “See Through You.” For more on Willie Shaw, visit his SoundCloud and Facebook. I was lucky enough to spend some time with the Cadillac Three last year during the ACM Awards in Las Vegas. In fact, I interviewed and ran into them several times throughout the weekend that they joked that I should join the band. I should have taken them up on the offer! 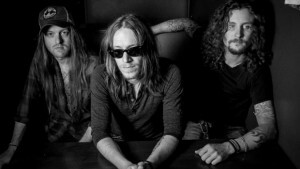 The Cadillac Three, made up of Jaren Johnston, Neil Mason and Kelby Ray, have one of the best live shows out there. The Southern rock trio also happen to be the writers behind many of the hits you hear on the radio, including Jake Owen‘s “Beachin’,” Tim McGraw’s “Meanwhile Back At Mama’s” and Rascal Flatts’ “Payback.” It is their own music, though, that is now earning it’s fair slot on the radio. I have woken up with the Cadillac Three’s new single “White Lightning” stuck in my head for the past several days. During my chat with the guys last year they were promoting their single “The South” but they mentioned that “White Lightning” was one single in particular that their fans overseas have been really into and that they were really excited to release in the States. The song itself embodies the band’s Southern roots while at the same time manages to showcase their vulnerability. Johnston wrote the song about the first time he met his wife and paints metaphors to how fast she stole his heart. 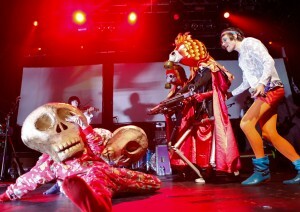 She also happens to star in the band’s music video for the song, which you can watch below. Darius Rucker’s song “Homegrown Honey” went to No. 1 this week and it’s easy to see why. The song is as country as they come. Rucker wrote the song, the first single off his new album Southern Style, with Lady Antebellum’s Charles Kelley and Nathan Chapman. He told me last year that Kelley initially came up with the idea for the song. “Homegrown Honey” is the introduction to Rucker’s excellent new album, which he says is the “countriest” album he’s ever released. “We’re going more into the countrier side of music than trying to go the other way,” he says. 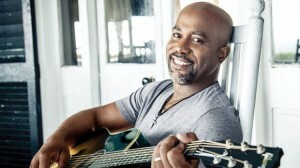 Rucker says the success of his 2013 hit “Wagon Wheel” had some influence on the makings of the fun and countrified album Southern Style. While he didn’t sit down and consciously decide to do a song like “Wagon Wheel” again, he said it did open his eyes to the fact that he could do a “real country song” and have a hit with it. The music industry, I’ve come to find, is very very small. At most concerts I attend it’s easy to run into at least one person I know, whether it’s a country show, a rock concert or a songwriter showcase. As I was catching up on Country Weekly this weekend I saw a very familiar face in the above photo. The magazine was featuring bands to watch in 2015 and Old Dominion was one. Once reading the names of the guys in the band, I realized I had already interviewed their guitarist years ago when he was in Army of Me. The first band I ever toured with, I spent a few days on the road with Army of Me and they couldn’t be nicer guys. Looking back, it all makes so much sense. While I hadn’t started covering country music yet, I remember guitarist Brad Tursi sitting backstage and playing country music on his guitar. 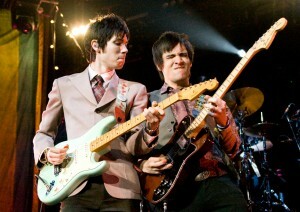 The tour they were on was a pretty heavy rock show so I was surprised. He mentioned in passing that he loved writing country songs and while I was intrigued, I didn’t put too much thought into it. 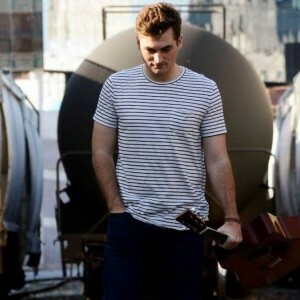 Nearly seven years later, he’s now living in Nashville writing country music on his own and with his band, who are about to hit the road with Kenny Chesney. I had listened to Old Dominion’s EP in the past, but now I was really interested. I’ll admit, when I like a song I tend to play it on repeat almost all day and that’s exactly what happened when I heard their new single “Break Up With Him.” Listen to it below. I’d love to know your thoughts! I spoke with Kip Moore last month when I was in Nashville for the Country Radio Seminar and he told me the story behind his gritty new single, “I’m To Blame,” which he wrote with Westin Davis and Justin Weaver. 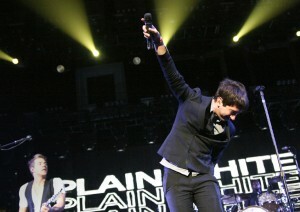 He confessed that the songwriting for “I’m To Blame” came to be while he was going through a frustrating time in his life, both personally and musically. He then got serious and began speaking about his father, who has since passed away. Getting back to the song, he went on to explain that we’re in a day in age where no one wants to take the blame, and instead we point the finger at others. That is very different from the sentiment on “I’m To Blame,” where Moore places the blame squarely on himself. “People are so concerned with fitting in and being part of the in crowd. Nobody wants to ruffle any feathers. 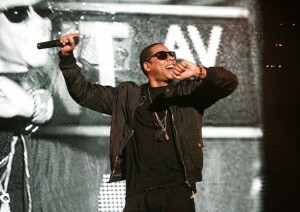 I’ve just never cared too much about that kind of stuff,” he admits with a serious tone in his voice. His answer also adheres to the “gritty” quality he claims to have picked up from his father. Moore says that “it was essential” to have “I’m To Blame” be part of his upcoming album. “It set the tone for what’s coming.” While he was tight-lipped on album details, he promises many surprises, saying many of the songs on his forthcoming sophomore album fans have not heard. For more of my interview with Kip Moore and Westin Davis, visit Radio.com. If you watched the GRAMMY Awards earlier this month, than you’ll remember Brandy Clark’s performance of “Hold My Hand” with Dwight Yoakam. A moving song, it was by far one of my favorite performances of the night. Listen to it below and to learn more about Brandy’s GRAMMY nominated album 12 Stories from my interview with her for Radio.com. 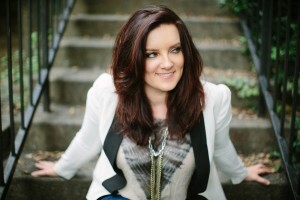 Country singer-songwriter Brandy Clark almost never released her GRAMMY-nominated debut album 12 Stories. Brandy had already penned hits for The Band Perry (“Better Dig Two)”, Miranda Lambert (“Mama’s Broken Heart”) and Kacey Musgraves (“Follow Your Arrow”), and she was content with her career as a songwriter. But that soon all changed. I met Mary Bragg four years ago at a recording studio in Brooklyn. As soon as she started singing everyone paid attention. The Georgia native’s blend of Americana and country was breathtaking. We talked and she gave me her card, telling me to keep in touch. Anxious to hear some more of her music, I looked her up online and was surprised to learn that Dave Haywood of Lady Antebellum produced her first record. Good friends, she credits him for urging her to write songs. I wound up interviewing her for Billboard and she is one of those artists that I see whenever she plays, whether it’s in New York or as it turns out, in Nashville last October when she made her debut at the famed The Bluebird Cafe. During her performance at The Bluebird, Mary played “Wildfire” and it gave me chills. I don’t think I was the only one in the room that felt that way as she captivated the hushed and sold-out crowd. Listen to the song below. 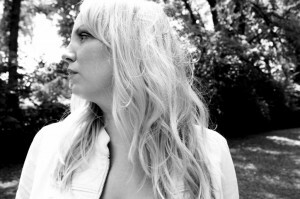 Mary Bragg is putting the finishing touches on a new EP, Edge of This Town, which will be released April 7. She’s currently on tour and will be in Brooklyn on Feb. 5. For complete dates, visit her website. Late last year, I stumbled upon Kelleigh Bannen‘s ear worm of a track, “Smoke When I Drink,” on Spotify. I was immediately hooked and the chorus of the song stayed in my head for days. “Smoke When I Drink” hits the listener at full force from the very first guitar lick. When her smooth vocals enter, the song picks up steam as she sings of taking a shot to calm her nerves just in case she runs into her ex at the bar. “Baby you’re a cigarette straight to my head/ I’m high as a kite while I’m saying I only smoke when I drink,” she sings as her former flame walks on over. Bannen’s growl on the chorus further compliments the edginess of the song. The gritty track turns the boys on their heads because, hey, girls smoke and drink, too. Listen to the track below. Jake Owen is ditching the beach anthems and party lifestyle on his new single, “What We Ain’t Got.” The track leaves the laidback vibes behind for a much more emotional experience. 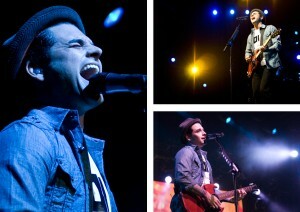 I chatted with him over the summer about the new song, one that he says is career changing. Owen said that it’s important at this time in his career to put out a song with depth and validity. “That’s what country music was based on, great songs,” he said. Listen to “What We Ain’t Got” below. Jake went on to explain that while he is happy with his life, family and career, he still wakes up every day to find things that he wants more of. 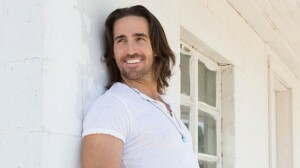 Read more of my interview with Jake Owen at Radio.com. Sometimes a song hits you at the right moment. 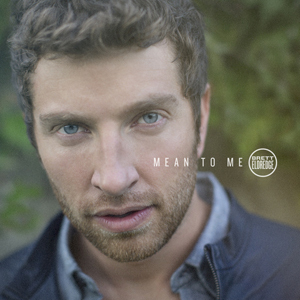 That’s exactly what happened last July when I heard Brett Eldredge perform “Mean to Me” at the CMA Songwriters Series at Joe’s Pub. It was a week or so before his excellent debut album Bring You Back was released and I remember sitting there, tearing up as he played the beautiful song on an acoustic guitar. A week later, I interviewed Brett and learned the story behind the song. 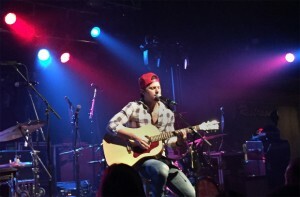 Brett wrote the song with Nashville songwriter Scooter Carusoe and said “Mean to Me” came about pretty naturally. Watch the video for “Mean to Me” below.